Sometimes all we want is someone to relate to - someone who is similar to us but unique in their own special ways - someone who just gets us because they are like us or live and understand where we live or understand our struggles with embracing our hair maybe we just want to know about people who have hair like our own. Sometimes we just want some hair guidance. Sometimes we want to see and believe that because they are like us or have hair like us and if they can do it - find good products - find the perfect twist out - find how to keep their hair moisturised - whatever it is - then we can do it too. We say no to hair envy and yes to hair motivation and yes to hair inspiration and yes to healthy hair. 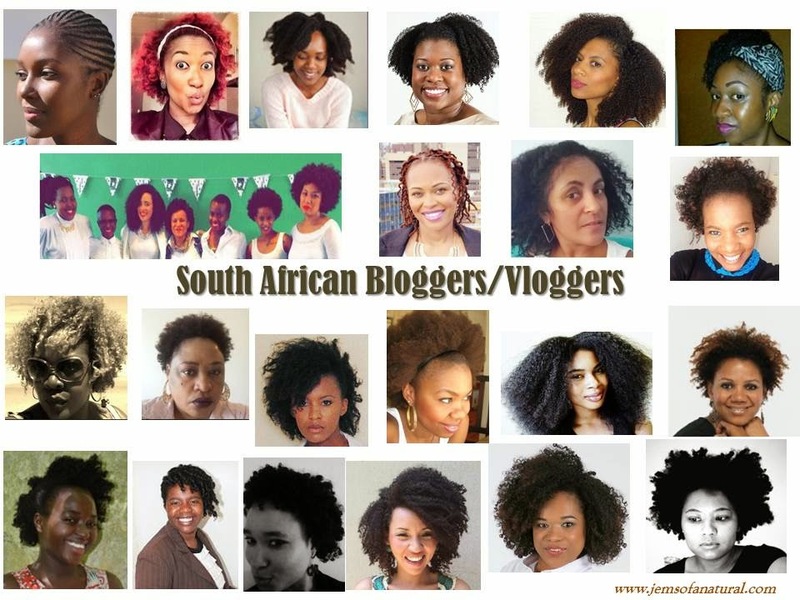 So - this list is a list of South African Healthy Hair Bloggers who take the time and effort to SHARE their own hair experiences with us. Most of them share themselves with us for the simple reason that they love their hair and would like us to love our own hair too. We still look up to international bloggers and vloggers and certainly applaud them but having local ones not only adds to our pool of resources and information, but they also boosts our HAIR INSPIRATION. Its just beautiful no matter where we are or where we go in the world, that we can find hair information for us and by us. I am grateful to each and every one of them ...they are doing it, they have done it and they continue to go on...FOR US. The above list is not extensive but it is certainly better - if I don't say so myself - than running a search 'South African Hair Bloggers' in google and coming up with 3 when there are like 40 - #excitingtimesinSA - what do you think? Some of these ladies also have a presence on other Social Media platforms such as Facebook, Instagram, Twitter etc. Let me know of your favourites and please please please SHARE, let all our hair sisters know about them - we are empowered to empower. 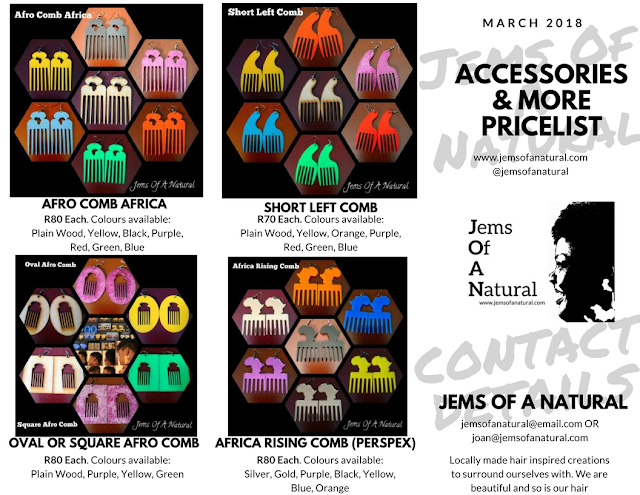 To obtain even more locally inspired hair inspiration, please also visit the sites of various Local Hair Care Producers/Manufacturers as many of them have their own blogs on their websites - a list of them can be found HERE. OMG!!!!! Thank you so much Joan for the feature! Much APPRECIATED!!! How is it that I only saw this now! Thanks for the love, Joan. Love your blog!